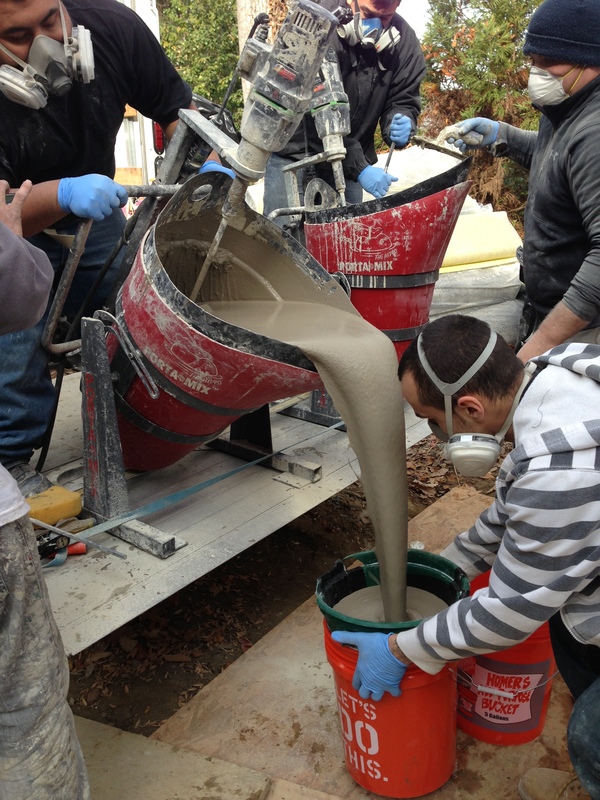 Decorative concrete is a growing industry, with prevalence not only in commercial and professional settings, but an engrained presence in the residential home market as well. It’s fascinating to see the creative ways homeowners incorporate concrete into their living spaces in new and unique ways. 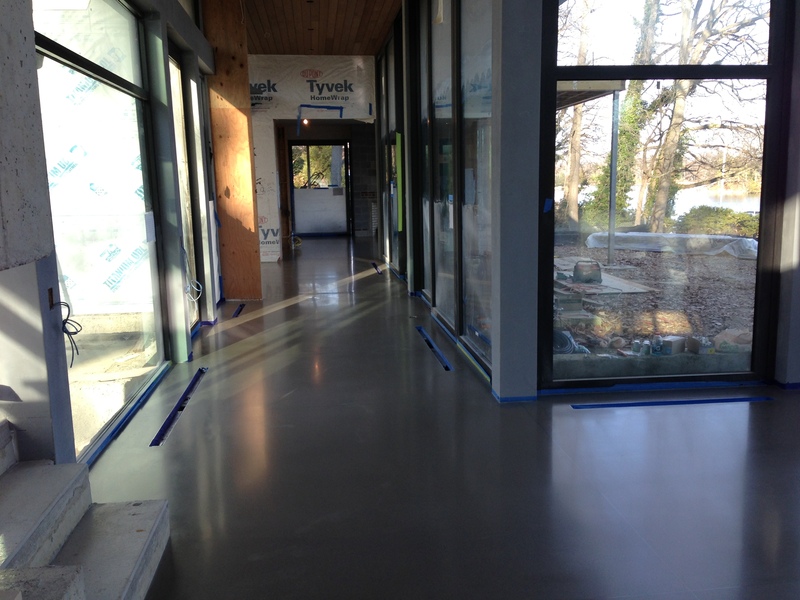 Cuviello Concrete and Terrazzo Polishing has tapped into this industry trend, and a recent custom home polished overlay perfectly exemplifies why. 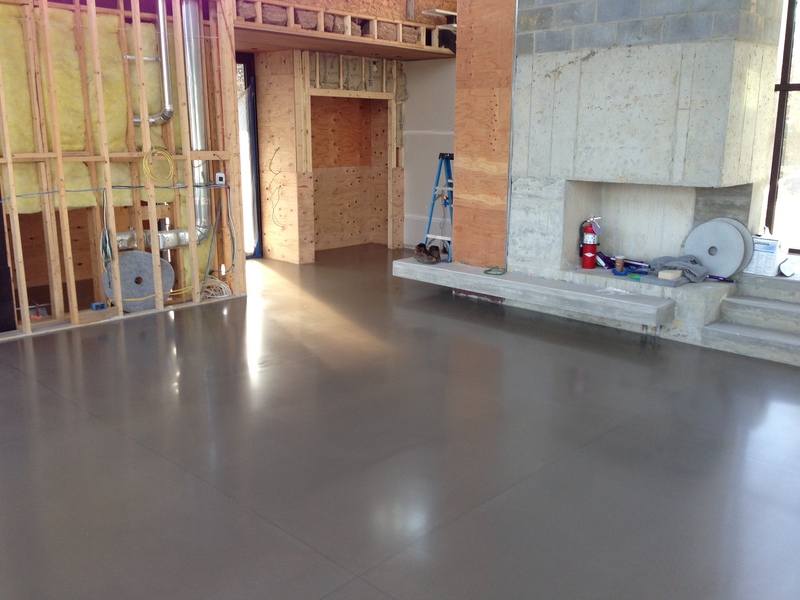 This custom home overlay covers an area of 2,000 square feet of TRU self-leveling. 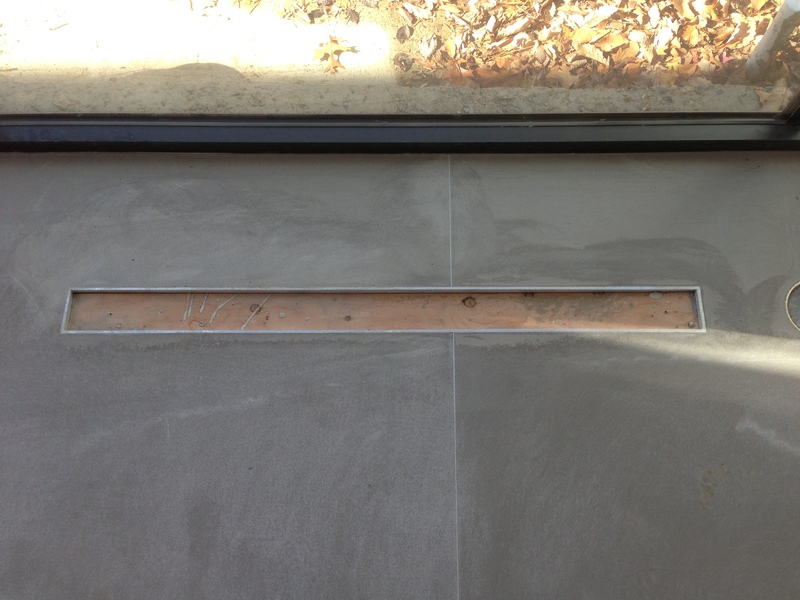 Initially, 3/8″ of uncolored TRU was applied with SpiderLath. 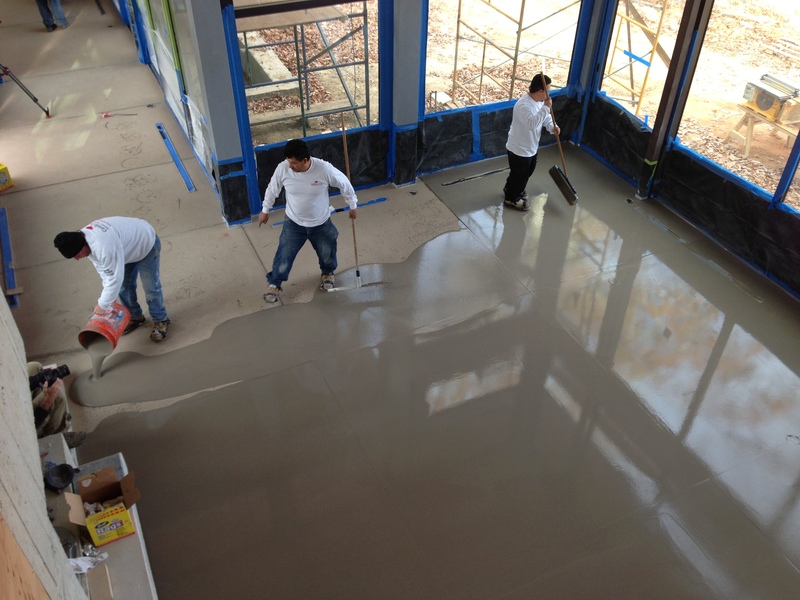 The second pour comprised 3/8″ of integrally colored TRU with 16-gauge zinc strips. 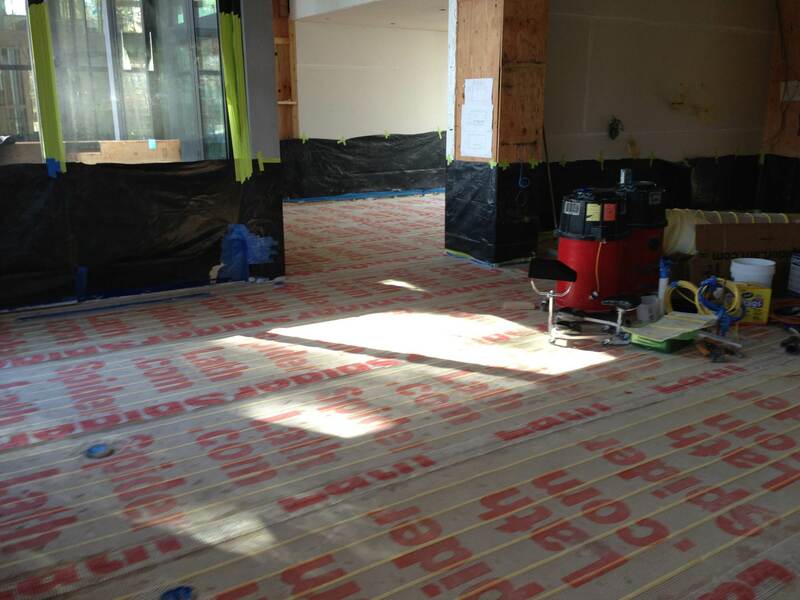 The zinc strips marked off areas of the floor to be kept empty, as evidenced in the radiator picture above. 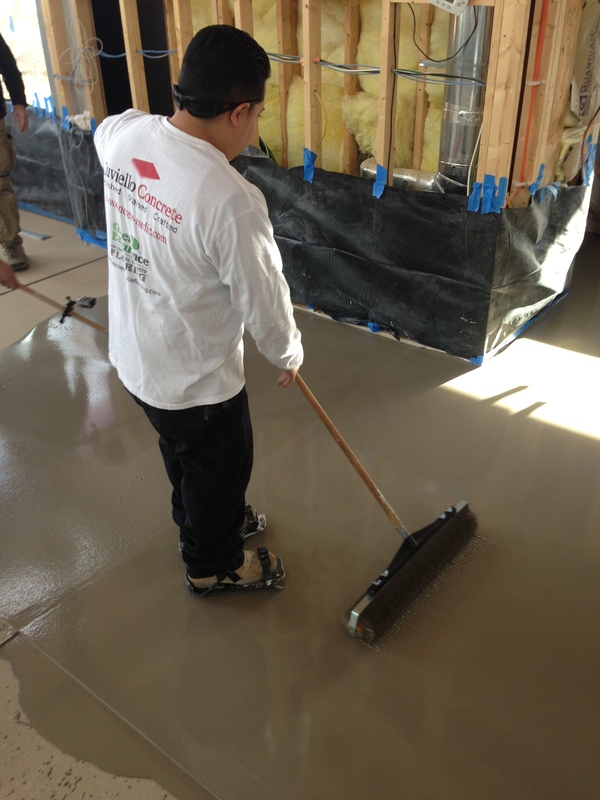 After mixing, pouring and spreading the TRU self-leveling overlay, the Cuviello crew used a grinder to polish the floor to its desired shine. They started with 50 grit metal-bonded Calibra ceramic discs and then worked up to 100 and 200. 3DHS densifier was applied to make the TRU denser. This densifier penetrates deep to improve surface performance and resist the harmful effects of traffic wear and weathering. After the ceramic discs, the crew used 200 and 400 V-Harr premium polishing pads. The final step in the process was to protect and seal the floors with AmeriPolish SR2 stain resistor to preserve the floors for long-lasting shine and stain resistance. This custom home job turned out gorgeous, but there were two big accomplishments that the Cuviello Concrete crew is especially proud of: finishing the edges to a zero tolerance without damaging the powder-coated window frames and pouring the second lift of TRU to exactly the top edge of the aluminum sliding window track and floor registers. 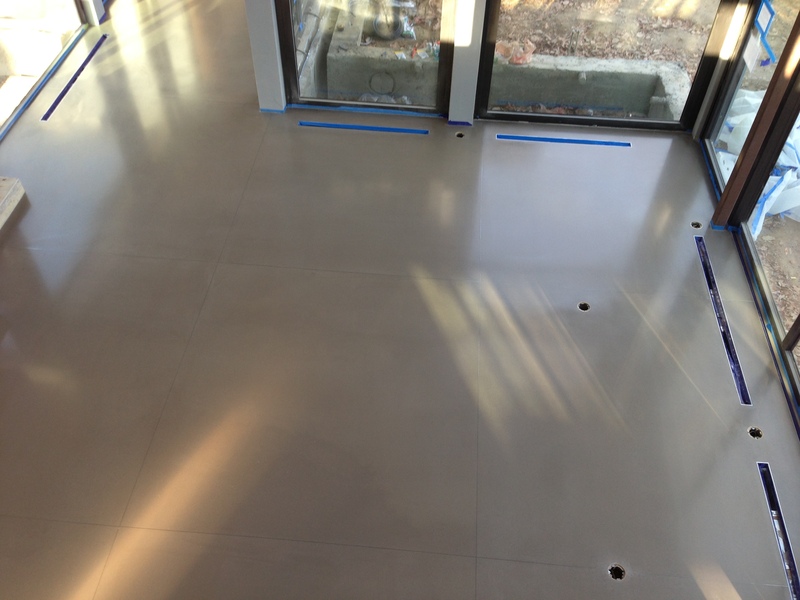 If you’d like to see more work from Cuviello Concrete and Terrazzo Polishing, see this previous post. For more information about this job (how it was accomplished, the products used, etc.) please don’t hesitate to contact us. And stay tuned for more customer highlights!